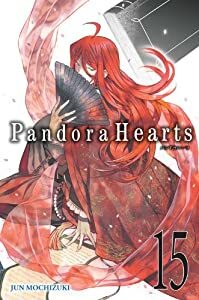 The air of celebration surrounding fifteen-year-old Oz Vessalius's coming-of-age ceremony quickly turns to horror when he is condemned for a sin about which he knows nothing. He is thrown into an eternal, inescapable prison known as the Abyss. There, he meets a young girl named Alice, who is not what she seems. Now that the relentless cogs of fate have begun to turn, do they lead only to crushing despair for Oz, or is there some shred of hope for him to grasp on to? Stunning artwork, engaging storyline, and overall enjoyable characters. And while I could just make a whole text post fawning over Jun Mochizuki's drawing skills (future idea? *wink*), I need to discuss the equally amazing plot and characters. Though, admittedly, the plot can be a little hard to follow at times (what with so many characters and twists and turns and side-stories), it is one of the most original ideas I've come across in years in any type of printed book (literary or otherwise). 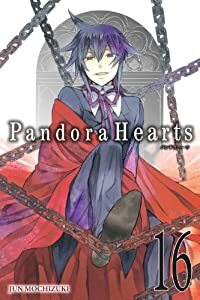 Not to mention that the characters Mochizuki has created are just amazing (Oz has to be one of the most enjoyable main characters). You've got you cheerful ones, manipulative ones, manipulated ones, dark ones, mysterious ones, innocent ones... I don't think she's left out any characterizations. 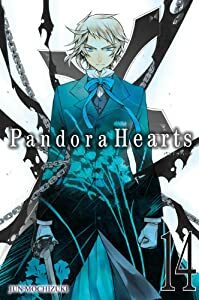 If you're looking for a new manga series, I'd highly recommend this one. It's a bit of investment if you're intending to buy the series, but it's worth every bit because it's highly re-readable. to be released on June25th.